Happy holidays, everyone–and we mean happy! You guys continue the new tradition of knocking our socks off with your generosity by pushing us right past the $175,000 mark. Keep an eye out for more stretch goals to unlock. Last year Heifer International actually donated something to Worldbuilders–a few spaces at the Heifer Ranch in Perryville, Arkansas. The Worldbuilders team was supposed to head over there for a little training anyway, but they gave us some tickets to auction off. We put a few on the auction block and stuck some of them in the lottery. 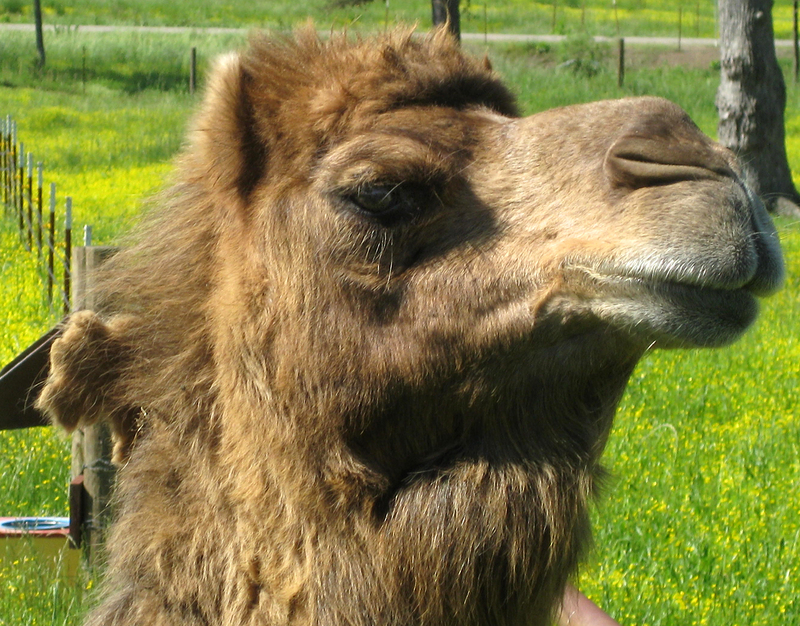 Anticipation was high, and in May, the Worldbuilders team and some auction and lottery winners finally got the chance to visit the Heifer Ranch. 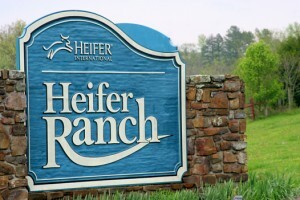 The ranch started out as a place where Heifer would raise livestock to ship overseas. That all ended in 1960 when they found it was more cost effective, better for the local economy, and more conducive to the health of the animals if they purchased local livestock for their programs. The ranch has soldiered on. Even though it’s still a working ranch, it’s now an educational facility where they give folks first-hand experiences of what some of the problems are that Heifer is working to resolve, and what those resolutions are. It was truly a one-of-a-kind experience. While we were there, we met all sorts of cool people, listened to presentations about what Heifer does, how and why they do it and just how much work goes into helping people pull themselves out of poverty. We toured their global village and had to prepare our own lunch from limited supplies, we made cheese, and we ate delicious food that was grown and raised entirely on the ranch, which also supplies a few local institutions as well. It. Was. Awesome. We wrote about the experience as soon as we got back, because we wanted to share what we discovered, learned, and enjoyed with you, as a part of this year’s fundraiser. Steve, Pat, Shiloh and Kat prepare lunch while Amber reads a recipe in the background. “I like to cook, and I was pretty excited when we were given the challenge of cooking a meal over an open fire. All of us had tasks and we eventually got the fire going and the food prepared. No one got burned too badly and there was a lot of ‘white rabbit’ chanting to banish the smoke. 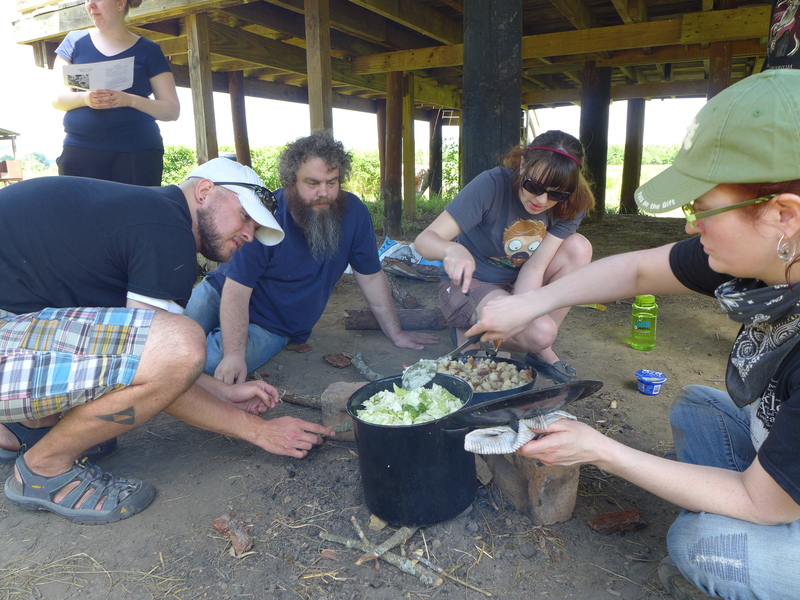 We enjoyed our simple meal after several hours of cooking while Nate and Vicki shared facts about open fire cooking. They told us that every day over 50% of the world’s population cooks this way, for every meal. It’s dangerous and time consuming. Kids can’t attend school because they are too busy gathering limited fuel supplies and tending the fire. Each year, millions are made ill, injured, or killed by the fires and exposure to the smoke. The novelty of open fire cooking quickly wore off as the sober list of facts grew. 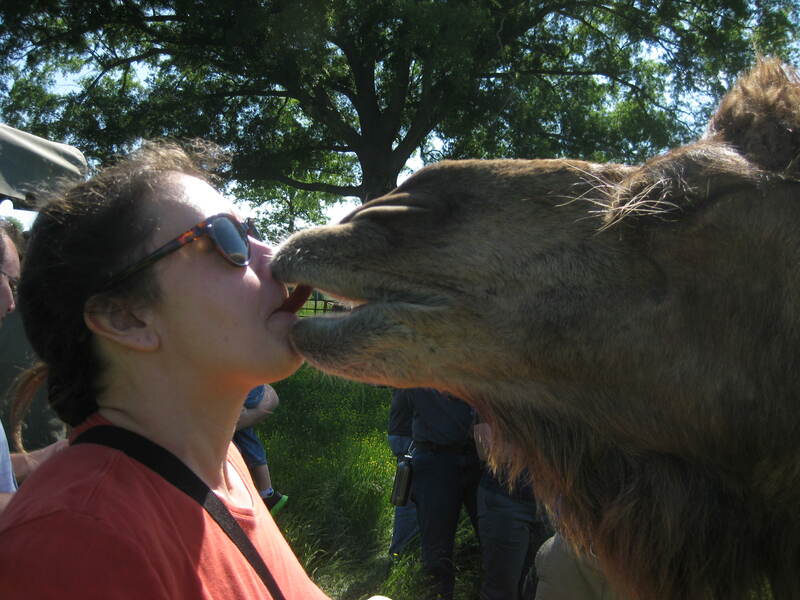 Joyce gets an apple-prompted kiss from a camel. “From the first time I chipped in with my friends to buy a llama, Heifer International has intrigued me. 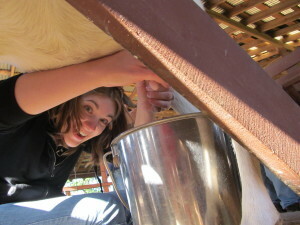 Being around the folks at the ranch who deeply understand the need for the Heifer brand of conscientious education and help, who are interested in the causes of poverty, in how to change people’s lives, without changing who they are, completely thrilled me, and rejuvenated my desire to do whatever I can to help the cause. 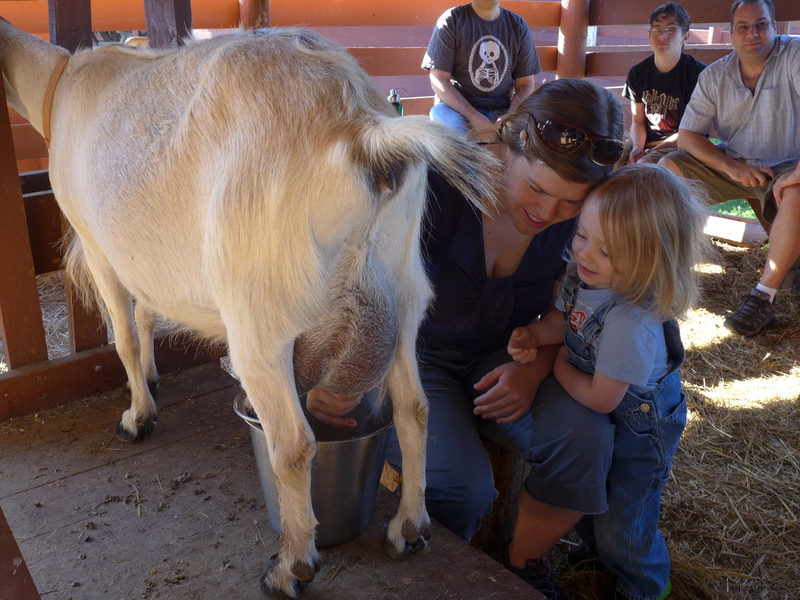 Nicole milks a goat–we later used that milk to make cheese. “I came back a mix of so many emotions. I made new friends and had tons of fun, so I was refreshed. I connected with my co-workers on a deeper level, so I was warmed. I worked for my meals, so I was satisfied. I discovered that the scale that Heifer operates on is so much larger than I thought, so I was stunned. I realized that I was ignorant and jaded about the reality that so many other people face, so I was lucky. I learned that Worldbuilders is the single largest Heifer Team in existence, so I was proud. Maria shows Oot how to milk a goat. Not Brett, but a reasonable facsimile. 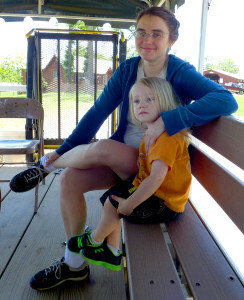 Sarah and Oot on the ride to morning chores. Sarah had a great anecdote about Oot from the stay at the ranch. 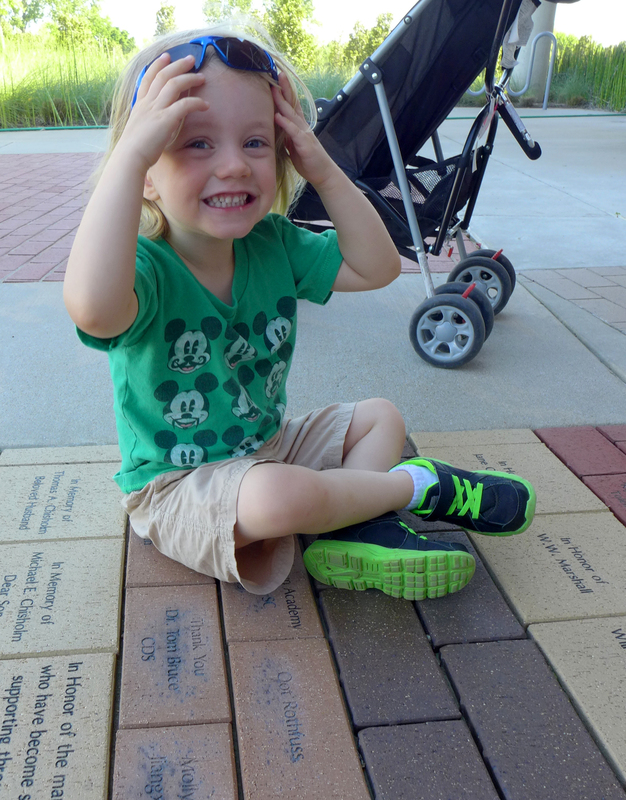 Oot enjoys the shady walkway at Heifer’s Little Rock headquarters. It was a great time. We were there with Vicki, one of the directors of philanthropy and our primary Heifer liaison, Nate, our brilliant and informative guide through all things Heifer, and a small but knowledgeable team of volunteers who showed us everything from feeding chickens to milking goats to how to farm in otherwise harsh environments. We got to learn about zero-grazing, biogas projects and why Heifer puts women in charge. There was a lot to learn. One of the big things we learned was how much we didn’t know about Heifer’s projects. They offer their gift catalogue and encourage folks to buy goats and ducks for loved ones–that’s easy to grasp. But they also team up with other nonprofit organizations to bring clean water to villages, they teach farmers in Ghana how to raise grasscutters, they help fishermen in Haiti figure out how to get enough fish from a ravaged lake, they help women’s groups set up local co-operatives and they make sure children get a good education. It’s hard to explain that stuff in three words. Money donated to Heifer International goes to improve the lives of so many people in so many different ways. You’re not just buying a goat. You’re buying knowledge, self-sufficiency, pride, and the willingness–often the excitement–to pass on that gift to the next family. That’s worth so much more than a goat. To be honest, we can’t capture in words the awe we experienced at the ranch. Everyone came away with something different, but all of us agreed it was a great weekend. 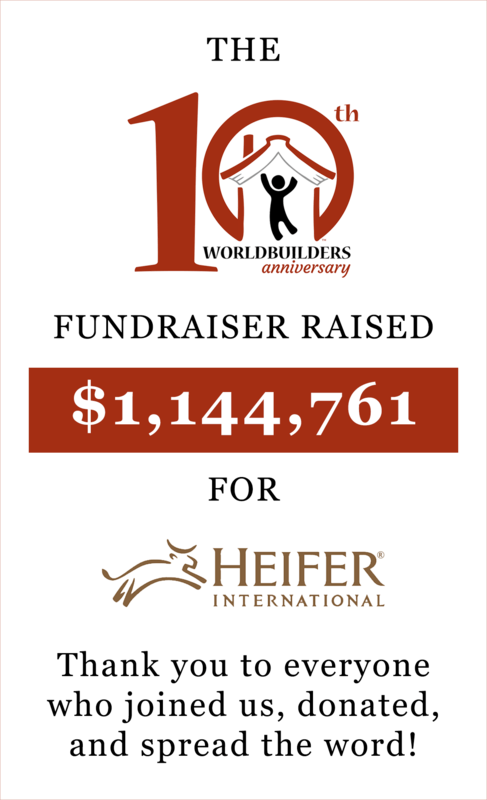 Everyone we went with was lovely–it didn’t take long for all of us to click, and that cross-section of wonderful people from such diverse backgrounds just proves the high caliber of all you folks who donate to Worldbuilders and Heifer International. If you want to, feel free to head over to the Worldbuilders Team Heifer page. A donation there of just $10 sends that $10 straight to Heifer, and you get entered in our lottery. We also have a few auctions ending this Sunday, but please don’t ignore your family just to bid on them. We’ll have more posted soon. We’re deliberately going light on the fundraiser posts during the holidays, but we’ll be back before you know it with more posts about books and the cool people who write them, read them, and donate them so you can appreciate them as well. Thanks, and please continue to have a great holiday. Amanda, you’re doing a great job while Pat and family have some well-earned R’n’R with the new addition! Go team! Ditto that, Amanda. Thanks so much. Good thing you followed that up with a bunch of cute Oot pictures. Have a good weekend Amanda, thanks for updating the blog! Yeah. Those stats are a mind blower…. This was an outstanding blog. I love all of the stories, and while I’ve supported Heifer for a long time, you just taught me a lot of things I never knew. All the more reason to encourage my friends and family to donate. I love “Oot”‘s donation brick. Keeping him ever mysterious! 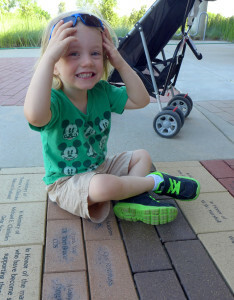 When does “Cutie Snoo” get her own donation brick??? Is this going to happen again this year or was it just a one time thing? The “let’s-give-you-stoves-that-fit-your-culture that are also waaaay better in terms of lung health and whatnot” initiative sounds super exciting! Apparently Peru’s government is giving away solar cells to help power similar utilities – any idea if some such thing would help the Heifer efforts too?